Dusty never joined the Mighty Crusaders. Joe Higgins discovers Dusty as the sole survivor of a plane crash. The saboteurs of Dusty’s plane attack Joe’s girlfriend Betty. Dusty helps the Shield defend Betty and the Shield makes Dusty his partner. Young partner of the Shield in the 1940’s, whose father died and who was subsequently taken on as a ward by Joe Higgins. 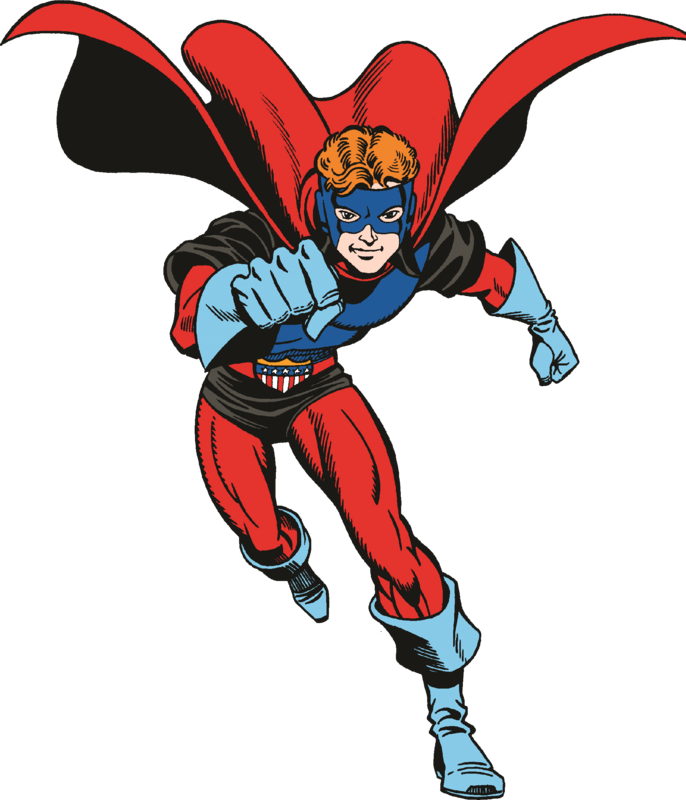 Dusty was given a costume and secret identity as the Shield’s partner and became part of a two-boy team, the Boy Buddies, with the Wizard’s partner Roy. Dusty later left the Higgins family mysteriously after graduation and was not found until much later. Dusty was enhanced with a modified version of the Shield Serum. Retired from active duty to become Deputy Director of M.L.J. Dusty has master deductive skills and better-than-average fighting skills and enhanced abilities due to a modified version of the Shield Serum.